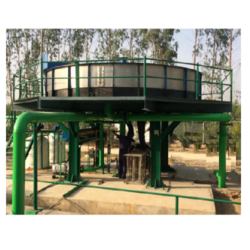 Leading Exporter of daf clarifier for dairy wastewater treatment and daf clarifier for wastewater treatment from Chandigarh. DAF clarifier, an industrial wastewater treatment plant, finds universal application in the primary clarification of effluents from milk processing including dairies, Cheese plants, Ice Cream factories and Confectionery. Removal of TSS down to 100 ppm and FOG of about 70% result in BOD reduction to the extent of 60% therby reducing the load on subsequent biological treatment system considerably. 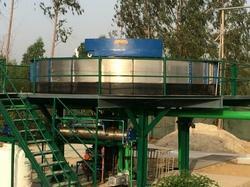 We have installations presently in Ukraine and Saudi Arabia besides India in the dairy sector.